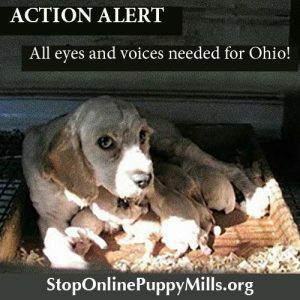 Home / Amish Puppy Mills / Ohio Action Alert! All eyes and voices needed in Ohio. Does not matter where you live. The dogs need us! The pet industry is working at the state level to undue bans that cities have enacted to stop the sale of puppies in pet stores. It has already disgracefully happened in Arizona and Ohio could be next. Please contact the below Ohio Senate committee members and ask them not to support Senate Bill 331. All you have to do is copy and paste this letter.